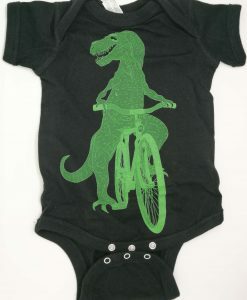 From the Dark Cycling Range comes this super-cute T-Rex on a bike baby Bodysuit in black with grey design. 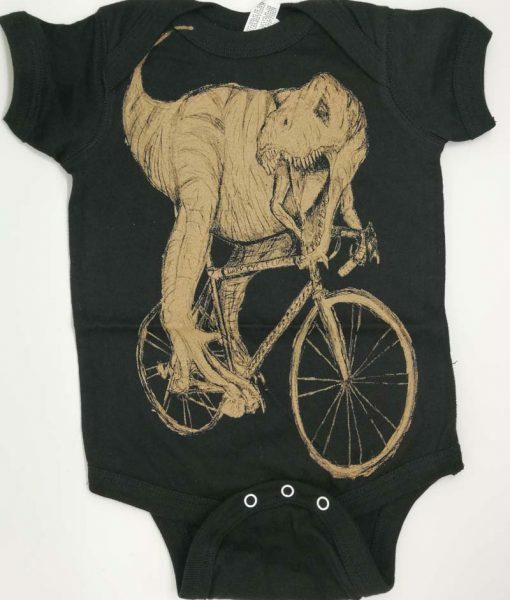 Hand drawn T-Rex on a bicycle; guaranteed to make your little one look super cute. 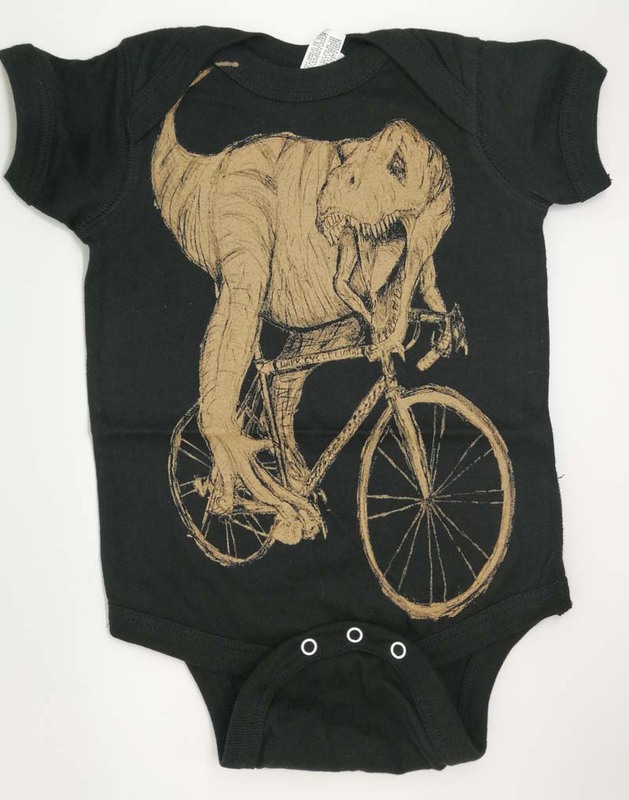 The bodysuit is completely sweatshop free. 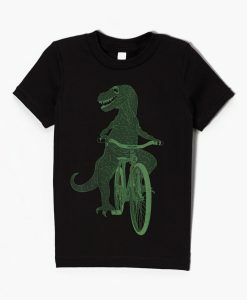 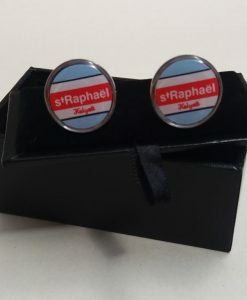 Soft, lightweight and a great fit.